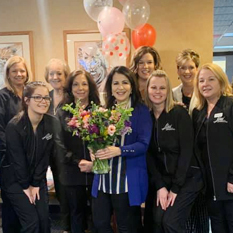 Abed Orthodontics is proud to be a trusted orthodontic practice that has served the Downriver and Hartland areas since 1991. Dr. Susan H. Abed provides her patients with straight teeth and beautiful healthy smiles they love to show off. Families enjoy coming to visit us. While kids play with free arcade games and visit with our emotional support dog Kash, parents can relax and chat with our friendly staff. In addition to braces for children, teens, and adults, Dr. Abed offers Invisalign® clear aligners for treatment. Our practice also provides a free thumb-sucking program for kids to halt or prevent harmful habits. 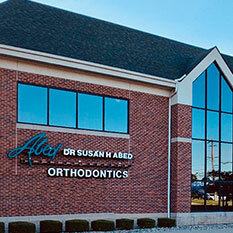 Abed Orthodontics is also proud to offer free complimentary orthodontic consultations. After a thorough oral exam, we will sit with you to discuss treatments that are best for your needs and goals. 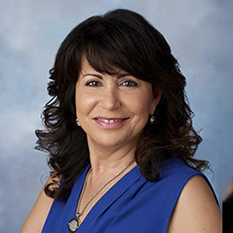 Dr. Abed and her staff are always here to answer any questions you may have. Call our Brownstown, MI orthodontic office today to join our family of patients!